It all began with happenstance meeting with a Greek rowing legend. Sofia Asoumanaki was 16 and vacationing with her family on a beach in Greece when Greek Olympic medalist and now rowing coach Vasileios Polymeros noticed her playing volleyball. Asoumanaki, a powerful 6-foot-3, is easy to notice. Asoumanaki, who had been a high-level competitive swimmer for years, was a natural at rowing from the start. 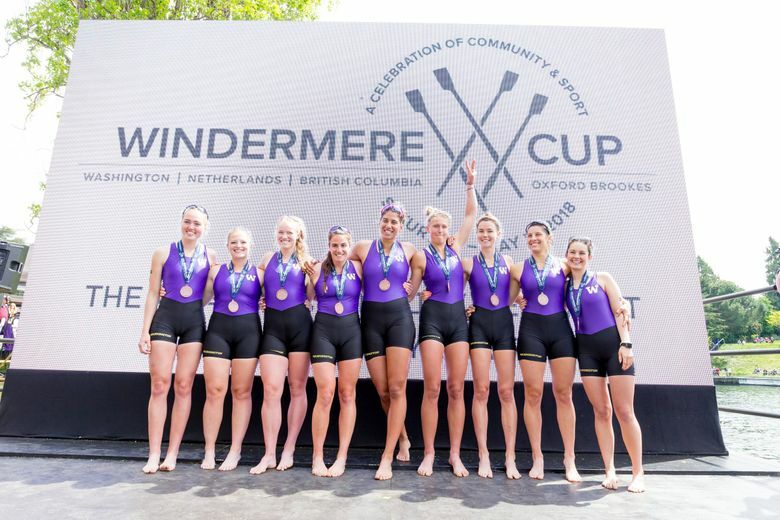 Three years later, she just missed winning a medal in the 2016 Summer Olympics at Rio de Janeiro by placing fourth in the women’s double sculls, and last year she was the Pac-12 freshman of the year and helped lead the UW women’s eight to a second-place finish at the national championships. At 21, Asoumanaki aspires to not only win an Olympic medal after coming close but to also get a college education, and that’s what made UW so attractive to her. Not that it was easy, particularly at first, when “I couldn’t even say a word” of English, she said. Once again, she proved a quick study, and UW coach Yaz Farooq said Asoumanaki got a 3.5 GPA in her first quarter and made the dean’s list. Not only did Asoumanaki have to learn a new language, she had to learn a different style of rowing. 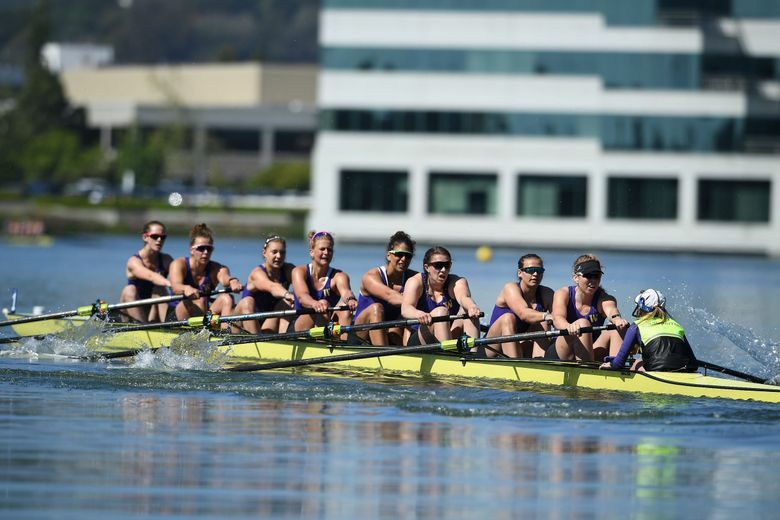 In double sculls, competitors use two oars while on the UW women’s eight, she sweeps with one oar. 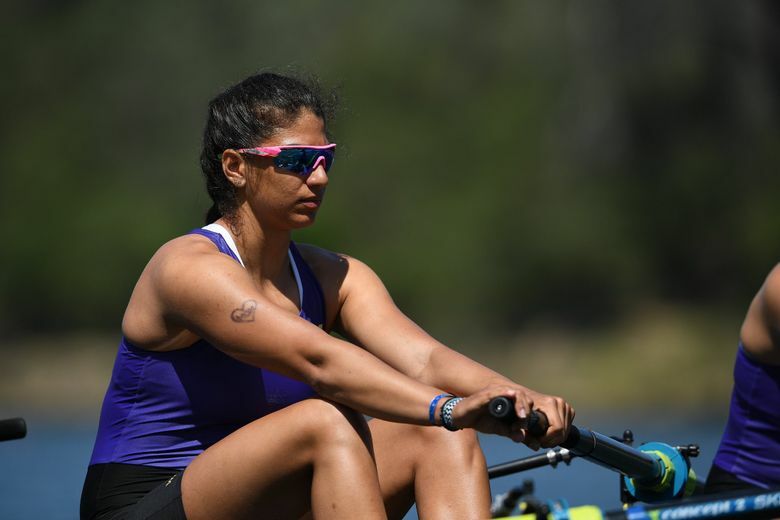 Asoumanaki said she was surprised at being named Pac-12 freshman of the year, and she only figures to get better with more experience in an eight-plus boat. There is no question about her talent, and she holds the 2,ooo-meter world indoor rowing record for 17- and 18-year-olds. It was that record that caught the attention of UW and other schools, and Asoumanaki now aspires to break the overall record. “I am not that far away, and I think I can do it,” she said. Asoumanaki also believes the Huskies can win the national title in early June. Cal, which lost to UW in the Pac-12 championships, got revenge at the NCAA championships. Asoumanaki was happy that her best friend from Greece, Dimita Tsamopoulos, decided to come to UW and is a touted freshman on the team. The two are rooming together. But even from the start, she has never regretted making the move thousands of miles from home.